Belize is a mecca for those interested in fishing. Many kinds of fishing spin, fly, trolling can be experienced all year long, and the abundance of game guarantees an excellent sport. The estuaries, inlets and mouths to the many rivers are known for their tarpon, snook and jacks. The coral reefs support grouper, snapper, jacks and barracuda while the deeper waters of the drop off are home to sailfish, marlin, bonito and pompano. Fishing is great all along the coast of Belize, from the Port Honduras and Punta Icacos lagoon of Toledo to Rocky Point on Ambergris Caye. Any of the many rivers which empty into the Caribbean along Belize’s coasts can guarantee a daily catch. Most of your guides and boatmen speak English, so learning where and what to fish will be no problem. The waters surrounding Ambergris Caye abound with a great variety of saltwater fish and the island boasts some of the best fishing guides in the country. Most types of fish, including bone fish and tarpon, can be caught all year-round. Within fifteen minutes from the dock, you can be fishing in blue water hundreds of feet deep. Fishing on Ambergris Caye has remained one of the Caribbean’s best-kept secrets until recently. The extensive flats, a twenty minute boat ride from the lodge, are picture perfect; these tarpon feeding grounds stretch for over fifty miles and provide the dining room for almost unbelievable numbers of tarpon. Peak periods on the local flats are the months of May through November, though there are fish around 355 days a year; the Winter/Spring months (February, March and April) also provide excellent opportunities when the weather cooperates. More importantly, it is uncommon to encounter other anglers once you have left the harbor area. Belize’s culture is distinct and rich, thanks to the country’s unique mix of ethnic diversity. There are approximately 320,000 people living in Belize; including Mestizo, Mayan, Anglo-European, Creole, Asian, Garifuna, Middle Eastern and Hispanic groups, being the latter the most prevalent. For this reason, visitors in Belize will hear a variety of different languages, with English being the primary spoken language followed by Spanish. Belize’s cultural diversity is reflected in the wide array of culinary choices. The food in the country ranges from spicy to cool, and many of the dishes are savory and rich, made with local game that can be found ranging the plains and forests that cover the land. When you add to the local dishes those from neighboring Central American countries, and international cuisine such as Chinese and Nigerian, you get a very large selection to choose from. Of course, there are American and European dishes for those who are not quite as adventurous when it comes to their food, as well as Belizean traditional recipes to try. Probably the most influential ethnicity in Belize is the Maya: the native Indian culture that built many of the now historical ruins found in the country. 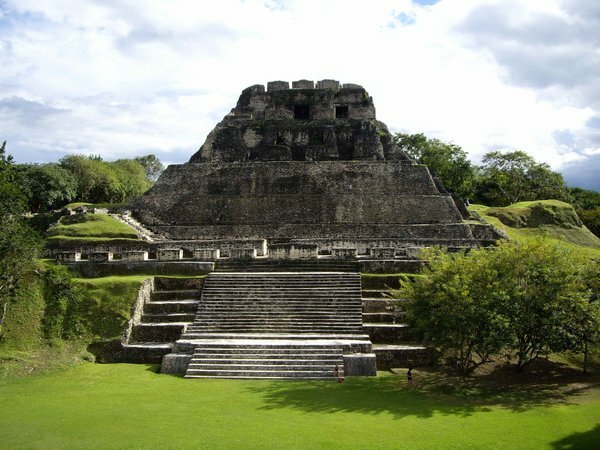 Belize is home of the earliest Mayan settlements, as evidenced by the glyphs found at numerous sites. The civilization was highly advanced, and the reasons for its disappearance remain a mystery. Still there are three tribes remaining in Belize – the Mopan, the Yucatec, and the Kekchi. The country is so ethnically diverse that it enjoys racial harmony, as well as religious tolerance. As a result, the country has developed a reputation for being welcoming and friendly, constantly inviting visitors to its shores with open arms. No place is more apt than Caye Caulker. Indeed, nothing seems to be a problem on this tiny island, where mangy dogs nap in the middle of the dirt road and suntanned cyclists pedal around them. The only traffic sign on the island instructs golf carts and bicycles to ‘go slow,’ a directive that is taken seriously. The thousand or so residents have traditionally made their living from the sea, specifically from the spiny lobsters and red snappers that inhabit its warm waters. On Caye Caulker, there are no cars, no fumes and no hassles, just white sandy beaches, balmy breezes, fresh seafood, azure waters and a fantastic barrier reef at its doorstep. Here there aren’t really any proper beaches to speak of, but plenty of docks are spread around the island where you can pull up a plastic chair and get your sun on, hang out at one of the ocean front restaurants or walk down to “The Split”, which is a popular swimming area, and if you’re feeling a bit thirsty, The Lazy Lizard Bar is just a couple steps away from the water. The diving is incredible, a whole world awaits you. Local tour guides can arrange trips to see manatees or jungle trips up the rivers of the mainland, where you will see orchids, bromeliads, cactus, and a variety of birds, monkeys, bats and other wildlife. 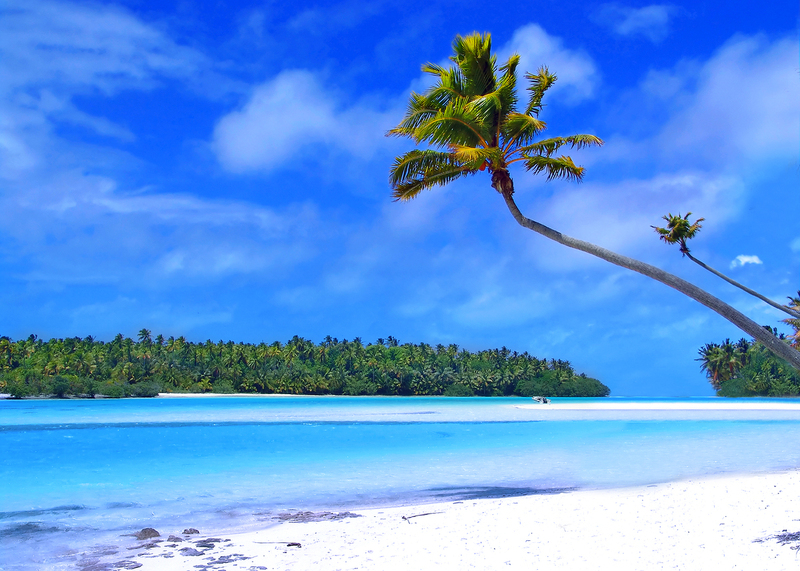 The beauty, peace and romance remain… So kick off your shoes and relax in a beach chair or hammock. Xunantunich’s name means “Stone Woman” in the Maya language.Distinguished as the first Maya Site to be opened and proclaimed archeologically and historically significant in Belize, a tour of the ancient monuments of Xunantunich should not be missed. 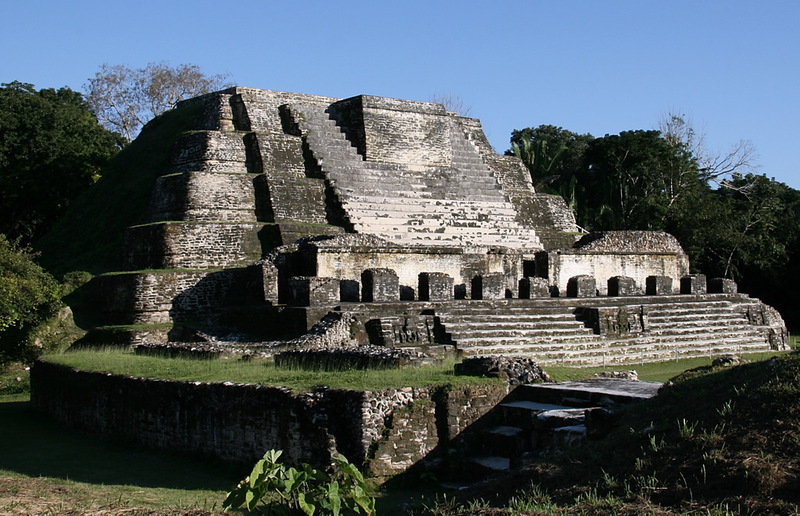 Located atop a high limestone ridge and covering approximately 2,700 square feet, Xunantunich is believed to have been an important Ceremonial Center in the Classic Period. The tallest structure on site is the famous “El Castillo”, towering 130 feet into the sky, ranking as one of the tallest buildings in the entire country. 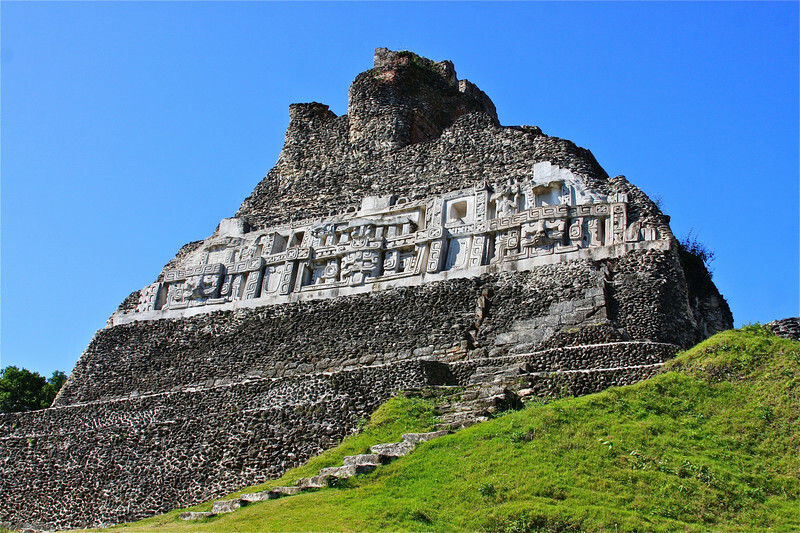 The two towers atop “El Castillo” have become an identifying feature of Belize. The climb to the top of “El Castillo” is an unforgettable experience. Maneuvering your way up the small ‘Mayan’ steps through ancient vaults and stone passageways, sparks excitement and great anticipation of what lies above. At the top, you will find a breathtaking panorama spreading before your eyes. Green forests of Belize and part of Guatemala, stretching as far as the eyes can see; the entire Cayo District including the lazy currents of the Mopan River, and a clear map of the Ceremonial City of Xunantunich, spread out below. 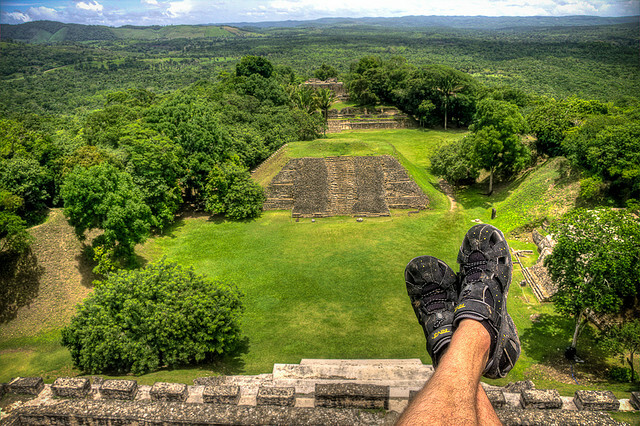 With only the distant sound of birds singing in the forests below and the whispering wind gently blowing over “El Castillo”, one can easily experience a calm and peaceful state of mind, sitting 130 feet above the ancient Mayan City. 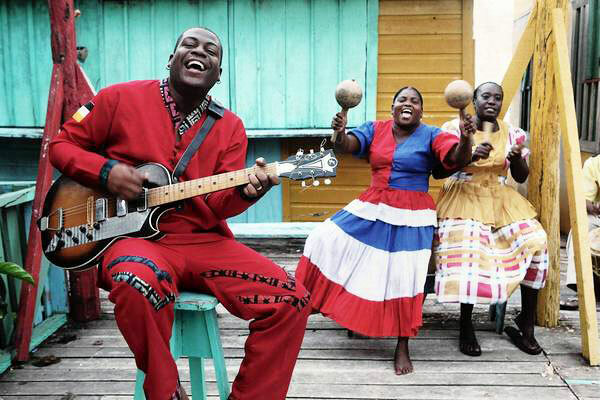 Belize’s music has a mix of Kriol, Mestizo, Garifuna, and Maya influences. Each culture is known for a special genre, but the general population listens and dances to everything. Kriol: Instruments such as an accordion, electric guitar, steel drums and banjo, arepaired with turtle shells, it’s amazing! Mestizo: The instrument of choice for the Mestizo is the Marimba. It hasbeen modified and can now be heard in some villages of Corozal, Orange Walk, Cayo and Toledo. 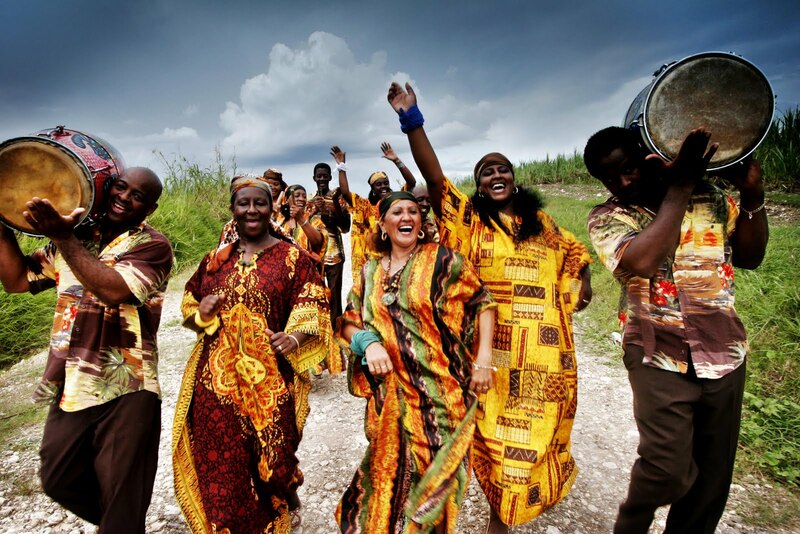 Garifuna: Their most popular music is called Punta: an upbeat, dance style tune that revolves around the beating of drums and the movement of your hips. One artist that has done a great deal for Belizean music on the international music scene is Andy Palacio. He steered away from the popular Punta Rock, by doing this; he tapped into the soulful side of Garifuna music and got people listening instead of only dancing. Maya: The Maya equally share the love of the Marimba music, to the point that it’s known as the national instrument of Guatemala. The Maya harp is created from rainforest hardwoods, such as Mahogany, by using special handmade tools and is part of an age old tradition. There are some 2,000 species of sea star living in all the world’s oceans, from tropical habitats to the cold seafloor, most often near rocky shores. The five-arm varieties are the most common, hence their name, but species with 10, 20, and even 40 arms exist. Many species are brightly colored in various shades of red, orange and pink, while others are blue, grey or brown. Beyond their distinctive shape, sea stars are famous for their ability to regenerate limbs, and in some cases, entire bodies. They accomplish this by housing most or all of their vital organs in their arms. Some require the central body to be intact to regenerate, but a few species can grow an entirely new sea star just from a portion of a severed limb. They use sea water instead of blood to pump nutrients throughout their bodies. Sea stars don’t have eyes as people. They have eyespots at the tips of their arms. Eyespots help a sea star when it is out of the water, the sea star may end up on the beach at low tide. If it stays in the sun too long the body would dry out causing its death. Using the eyespot, the sea star can find its way to a shade so it can stay cool and damp until the water level rises again at high tide. Most sea stars do not care for their young, the female just releases the eggs into the water and the larvae grow up on their own. In some species, females do care for their young; those mothers protect their eggs beneath their bodies. They guard the larvae until they are big enough to go off on their own. 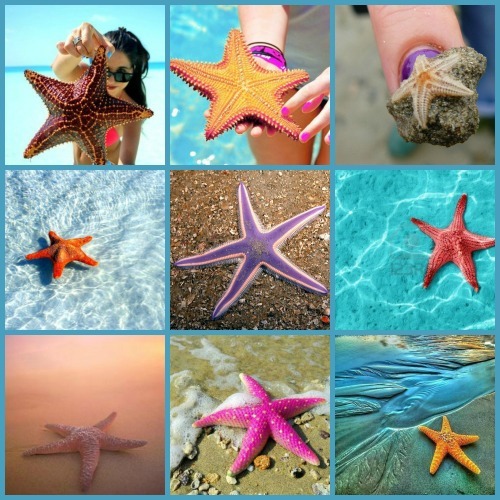 Despite of their name, starfish are not fish, it’s an echinoderm, a type of marine animal that is spiny-skinned. Belize has the only Jaguar reserve in the world! It’s known as Cockscomb Basin Wildlife Sanctuary. Belize is the only Central American country where English is the official language. You will also hear a mixture of Creole, Spanish, Garifuna and Mayan languages on the street. It has around 900 Mayan sites all over the country. 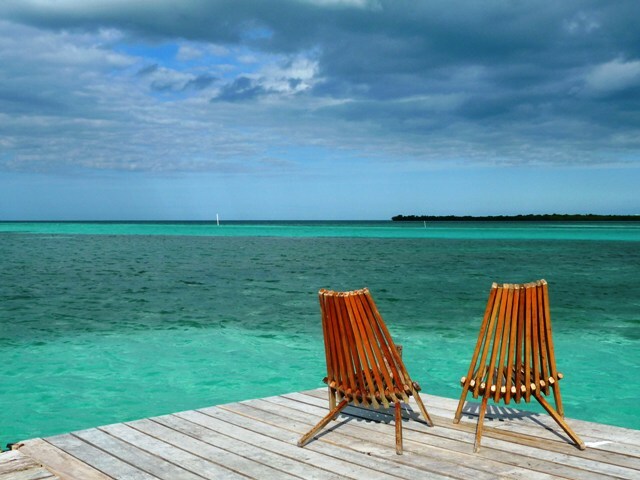 Belize is one of the least populated countries in the world. 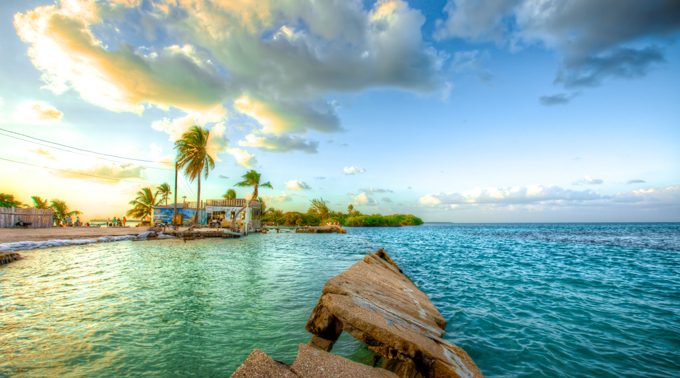 There are about 200 cayes (islands) in Belize, most of them located inside the Belize Barrier Reef. More than 400 species of fish live in the waters of Belize’s 185-mile long Barrier Reef. Belize’s wetland habitats provide refuge for 2 of the 23 species of Crocodilians: the fresh water Morelet’s Crocodile and the saltwater American Crocodiles. A typical Belizean breakfast consists of bread, cheese, beans, eggs or cereal with milk sipped by the kids and coffee or tea by the adults. There are a lot of things to discover in this beautiful country. 2/3 of its forests haven’t been investigated. Belize has a lot to offer so whenever you get the chance you should come to visit it!